Whole Shirasaya length: 71cm or 27.95 inches. 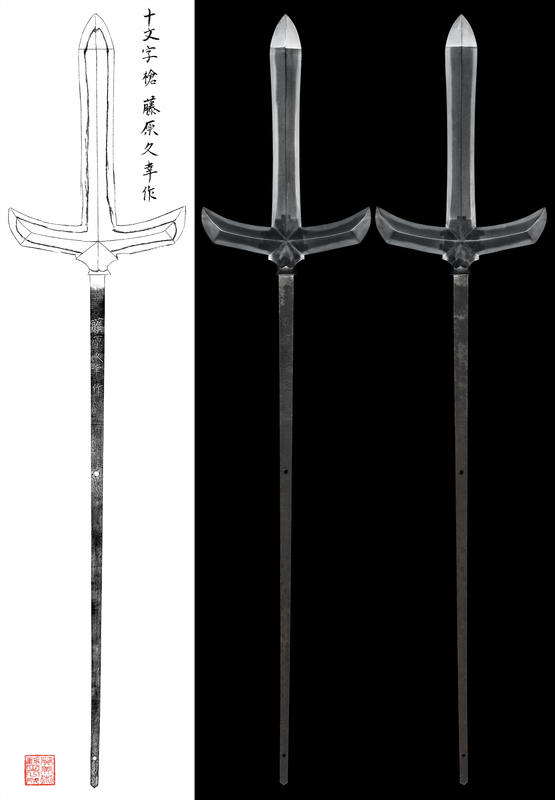 Blade length(nagasa) : 18.3 cm or 7.20 inches. 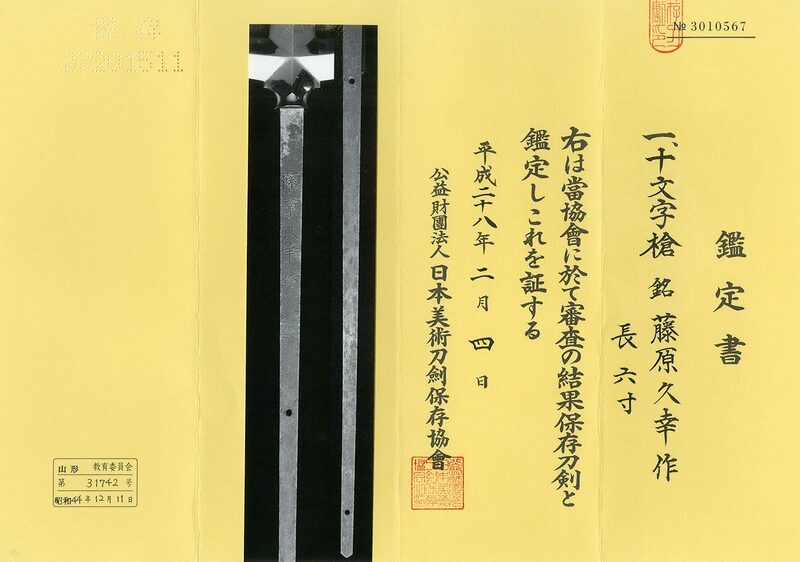 Era : Late Edo period Ansei era 1854. Kitae :Koitame hada well grained nice looking texture. Hamon :Nie deki suguha bright and clear. Special feature:Hujiwara Hisayuki is skilful for making Yari. He was saying a walker samurai for Tokugawa famiky's. to learn the technique from other sword makers. He passed away Meiji 1st year September age 83 years of age long life. He made a few swords during hil long life. From Aoi Art: Fujiwara Hisayuki is well known as Tari maker. Generally Making Yari and polishing Jyumonji is difficult and also polishing need high skill. this Jyumonji Yari for you.